An enormous escaped rhinoceros from London Zoo has eaten James's parents. And it gets worse! James is packed off to live with his two really horrible aunts, Sponge and Spiker. Poor James is miserable, until something peculiar happens and James finds himself on the most wonderful and extraordinary journey he could ever imagine . . .
A new and delectable Deluxe edition of this wonderful classic. 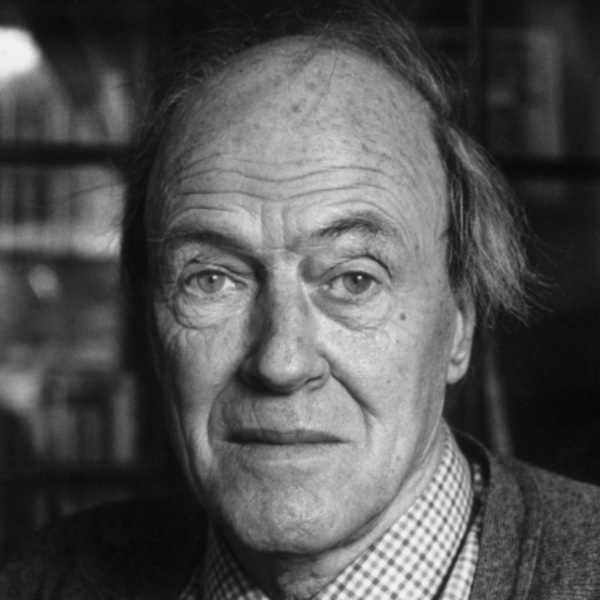 Roald Dahl's parents were Norwegian, but he was born in Llandaff, Glamorgan, in 1916 and educated at Repton School. On the outbreak of the Second World War, he enlisted in the RAF at Nairobi. He was severely wounded after joining a fighter squadron in Libya, but later saw service as a fighter pilot in Greece and Syria. In 1942 he went to Washington as Assistant Air Attache, which was where he started to write, and was then transferred to Intelligence, ending the war as a wing commander. His first twelve stories, based on his wartime experiences, were originally published in leading American magazines and afterwards as a book, Over to You. Among his other publications are two volumes of autobiography, Boy and Going Solo, his much praised novel, My Uncle Oswald, and Roald Dahl's Book of Ghost Stories, of which he was editor. During the last year of his life he compiled a book of anecdotes and recipes with his wife, Felicity, which was published by Penguin in 1996 as Roald Dahl's Cookbook. He is one of the most successful and well known of all children's writers, and his books are read by children all over the world. These include James and the Giant Peach, Charlie and the Chocolate Factory, The Magic Finger, Charlie and the Great Glass Elevator, Fantastic Mr Fox, The Twits, The Witches, winner of the 1983 Whitbread Award, The BFG and Matilda. Roald Dahl died in November. For more information on Roald Dahl go to Aimee Bender is the bestselling author of the novels The Particular Sadness of Lemon Cake and An Invistible Sign of My Own and the story collections The Girl in the Flammable Skirt and Willful Creatures. She has received two Pushcart Prizes and was nominated for the Troptree Award in 2005. She lives in Los Angeles. Jordan Crane is an illustrator, author, and cartoonist who collaborated with McSweeney's on a collection of essays by novelist Michael Chabon in 2008. He lives in Los Angeles. "This newly-illustrated edition of an avowed children's favorite has all the makings of a classic match-up: Milne had Shepard, Carroll had Tenniel, and now Dahl has Smith...author and illustrator were made for each other, and it's of little consequence that it took almost 35 years for them to meet" --Kirkus.